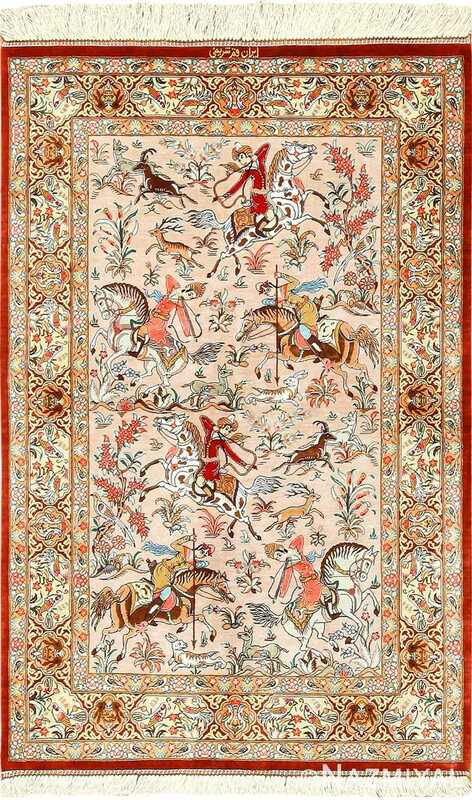 Intricate Persian Silk Small Scatter Size Qum Rug, Country of Origin / Rug Type: Modern Persian Rug, Circa Date: Late 20th Century – This modern Persian rug is an absolutely beautiful piece with exquisite detail. 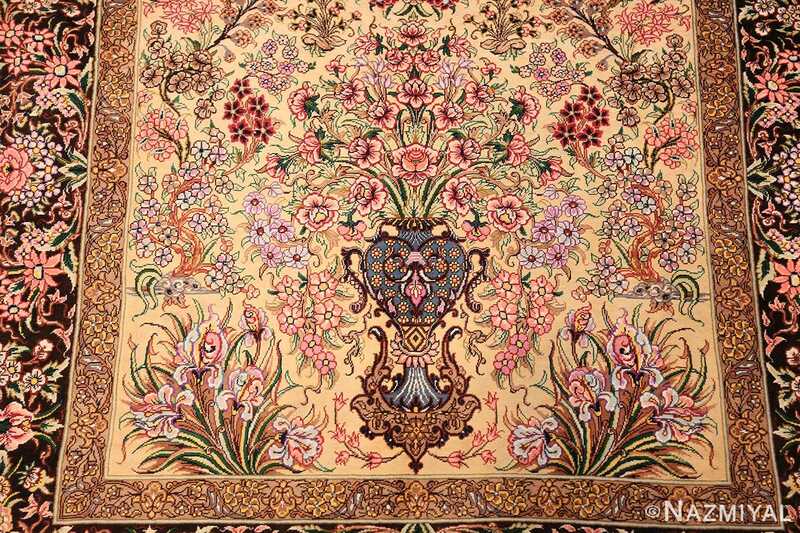 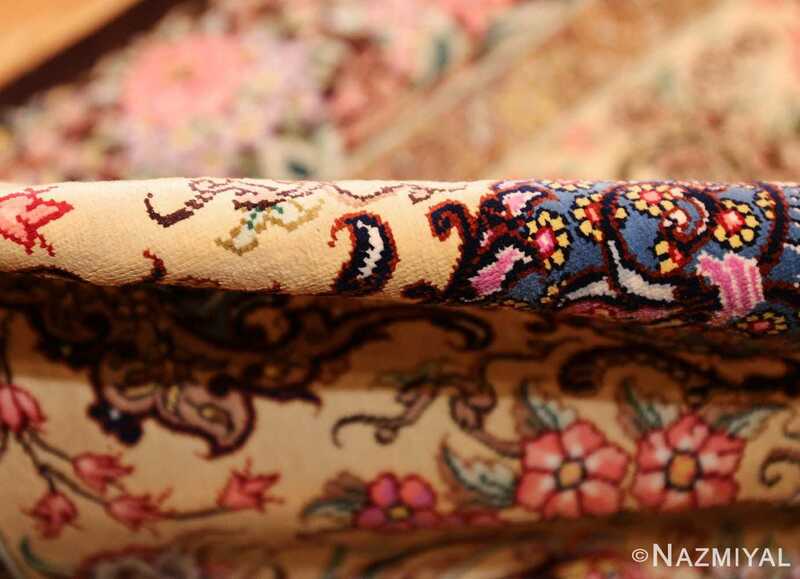 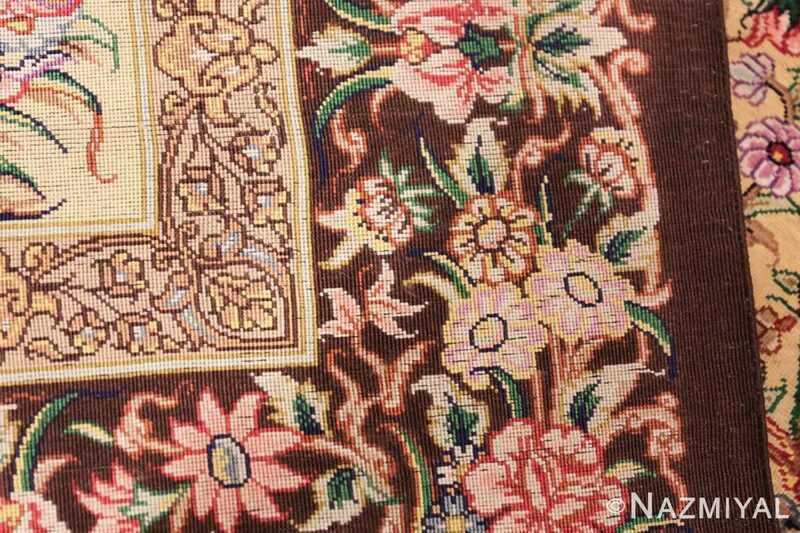 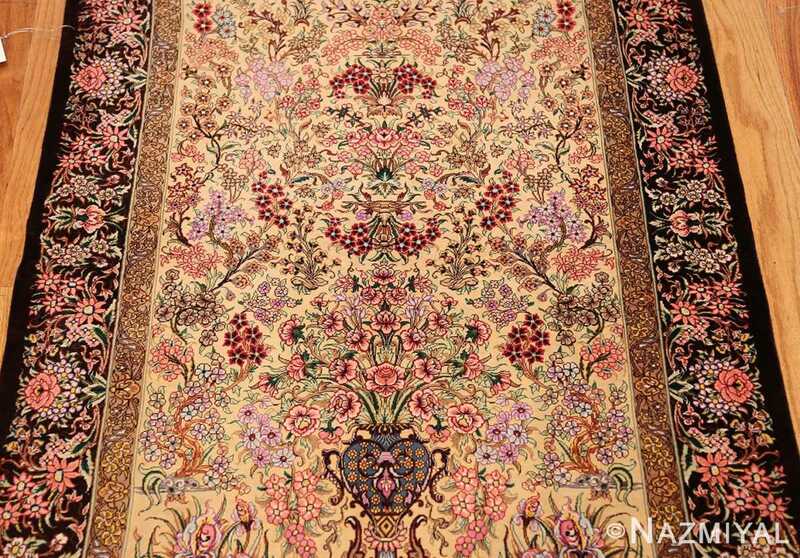 The consistent floral theme makes this beautiful Persian silk Qum rug a tribute to the beauty and delicacy of nature through its tiny yet intricate flowers. 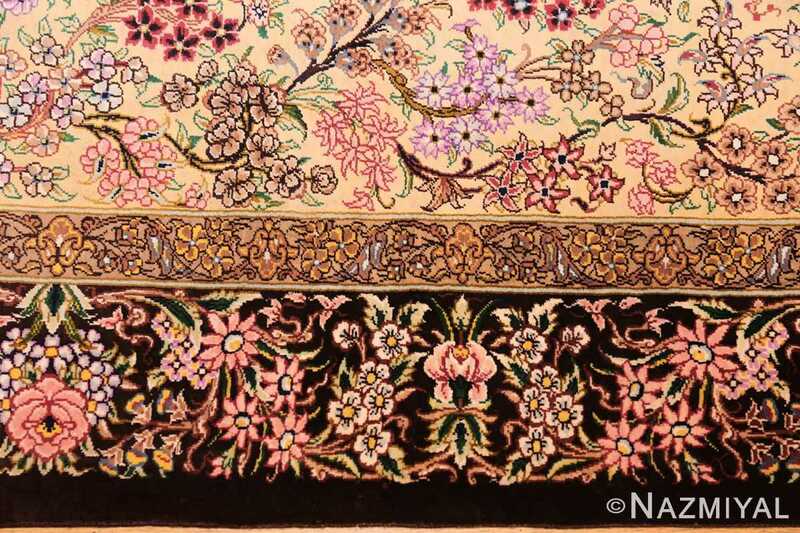 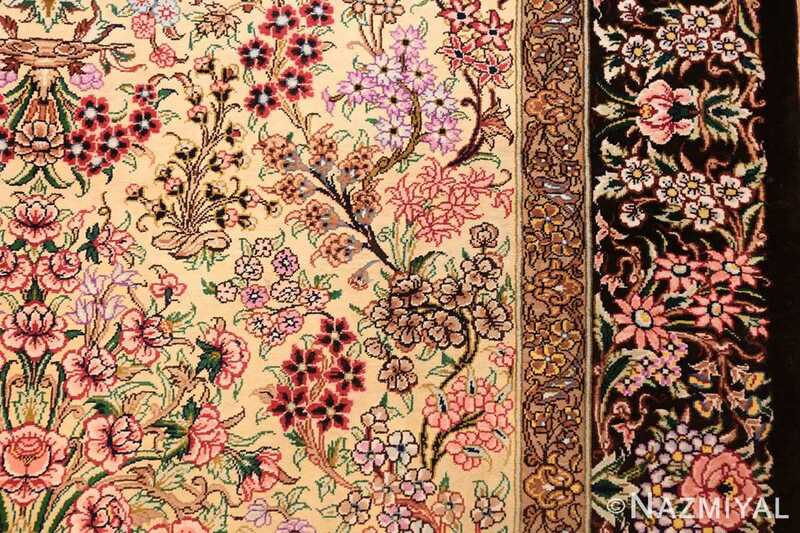 As one looks at this magnificent modern Persian silk rug from bottom to top, the blossoms become smaller as they seem to be climbing ever upwards. 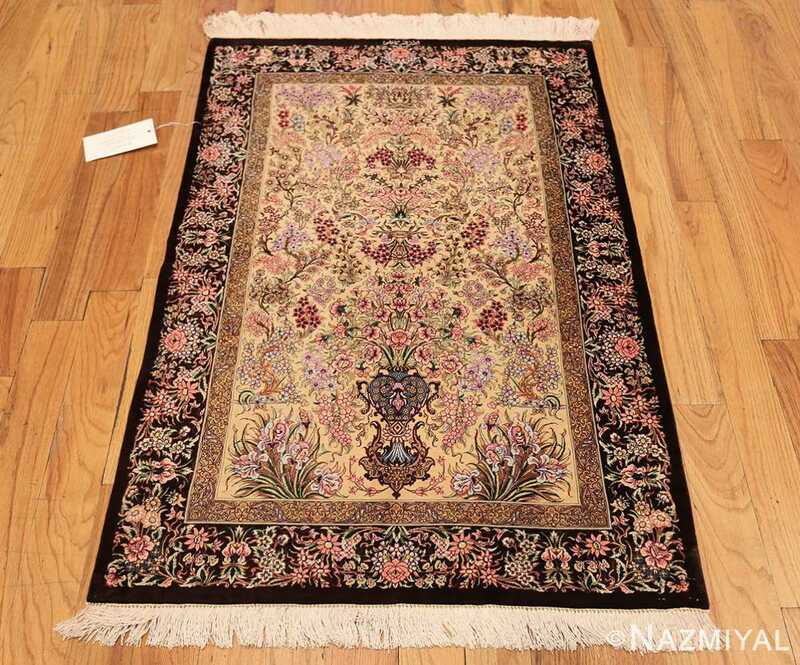 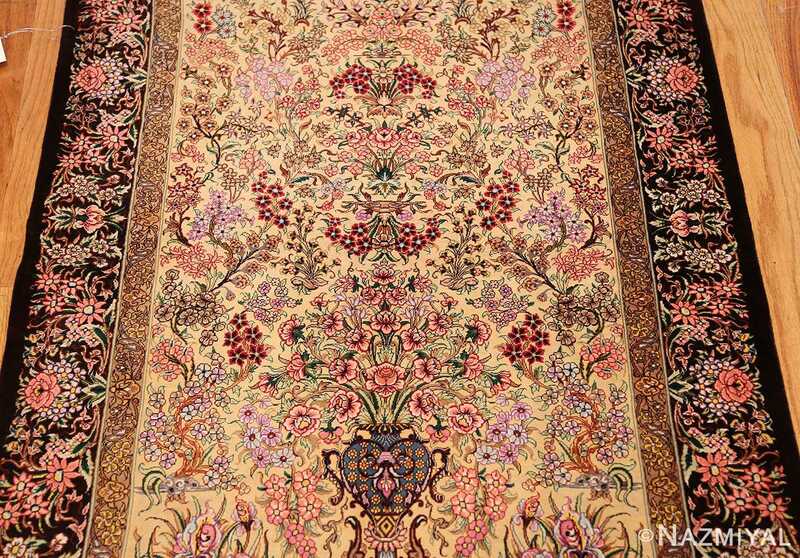 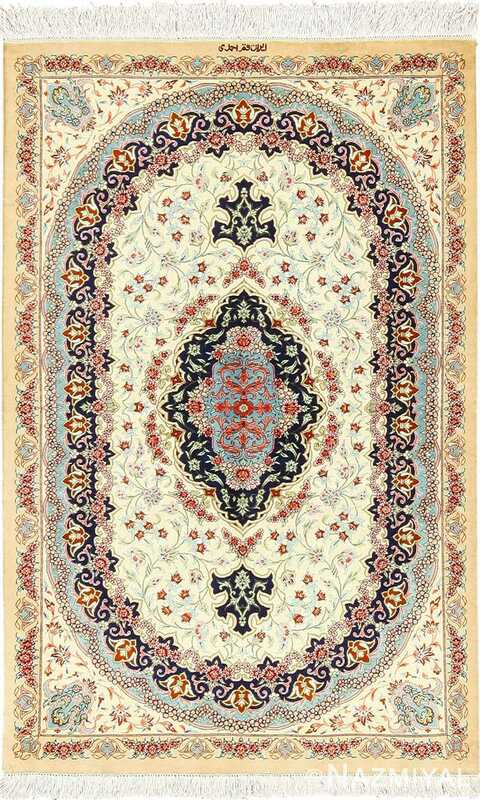 The colors in this magnificent small scatter size rug are simply gorgeous as well. 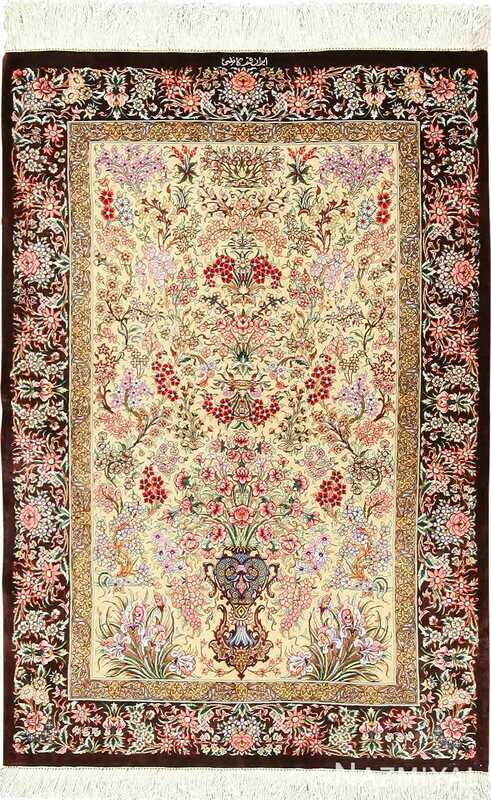 While this Persian rug features many intricate pale pink colored flowers, on a neutral background, the red accents scattered throughout, bring brightness and contrast to the small scatter size Qum rug. 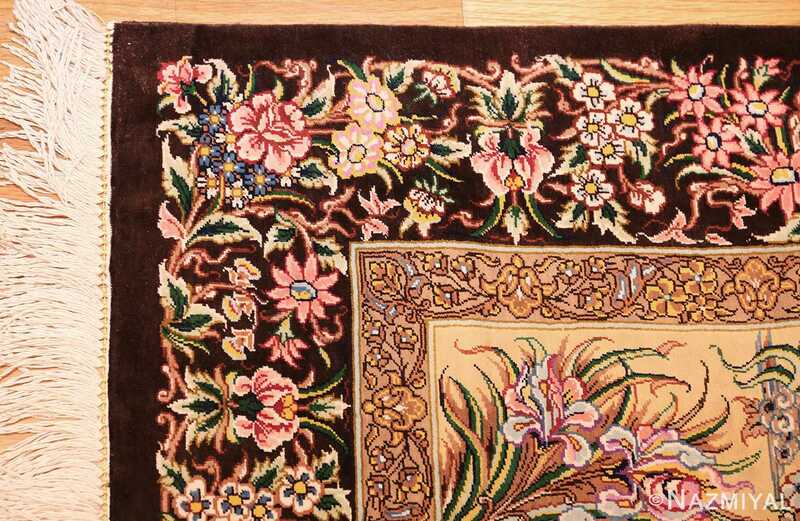 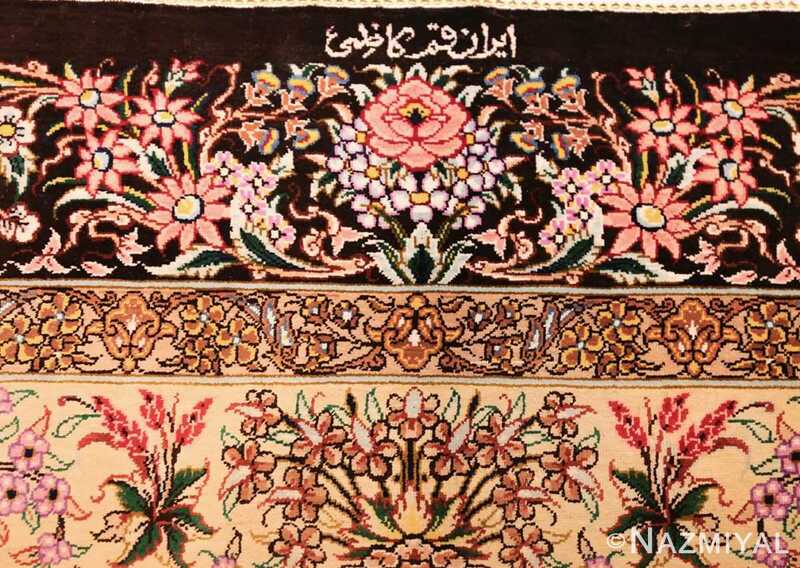 The black background of the border enhances the contrast within the rug, and makes the center, lighter area of the rug stand out more to the viewer. 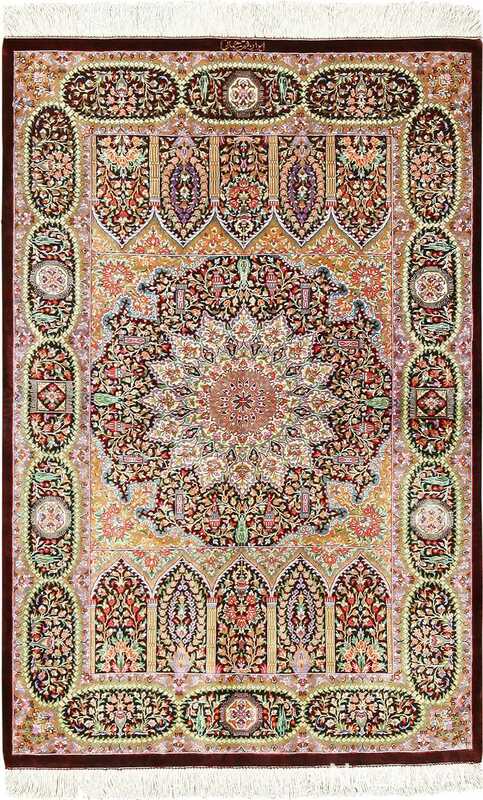 Overall this small scatter size Qum rug is a masterpiece of detail and accents that gives the illusion of movement and life.